Its time to get into the Halloween spirit. Whether your hosting a costume party or just awaiting the ghoulish trick-or-treaters creating a haunted house is a fun way to showcase your Halloween spirit and home! Scope: A DIY haunted house can be simple or elaborate, whatever you're up for! A few scary props can do the trick or you can go all out and give your guests a Hollywood style haunted house. Location: If your home is not large and roomy enough to hold all the props you need it may be worth while to move the haunting outdoors! Plan: Once you've picked your location its time to create a plan by drawing up a a map of the proposed haunted house. Laying out where props will be placed and figuring out what props you may need to build, measurements, etc! Props: Part of the fun of creating your own haunted house is choosing props! Some to consider include fog machines, smoking cauldrons, coffins, sound effects, spider webs, prop tombstones, wigs & masks, black lights, and of course plenty of jack-o-lanterns!! Decorations: Now its time to set the mood for your haunted house, using lighting, candles, and music are some ways to set the proper mood. Also think about some food items and creations that can quickly become scary! Dressing Up: Dressing in costume is what will make the whole haunted house experience a great deal more effective and fun! Now think about how you're going to show off your spooky hard work. Host a costume party, invite the neighborhood families over for some Halloween themed games. Have fun with it! Read more here! Last but not least, don't forget the following important safety tips while decorating! Avoid candles and live flames in your Halloween decoration, instead replace them with LED or battery operated candles! If you are putting up Halloween lights, make sure that all electric cables are safely out of the way of prying little hands! Since flickering and darkness are such a large part of Halloween, it could be difficult to see very clearly. Keep the area around your home clutter free! Check your porch lights or entry lights beforehand to make sure they are fully functional in order to keep the area around your entry brightly lit to prevent accidents. If you are hosting a Halloween party for children inside your home, put away all the breakable stuff. This Sunday, October 26, 2014 from 1:00-3:00pm, Geri Reilly Real Estate is hosting an Open House at 3 Repa Drive in Essex, Vermont. Stop by to say "hi" and take a look around! 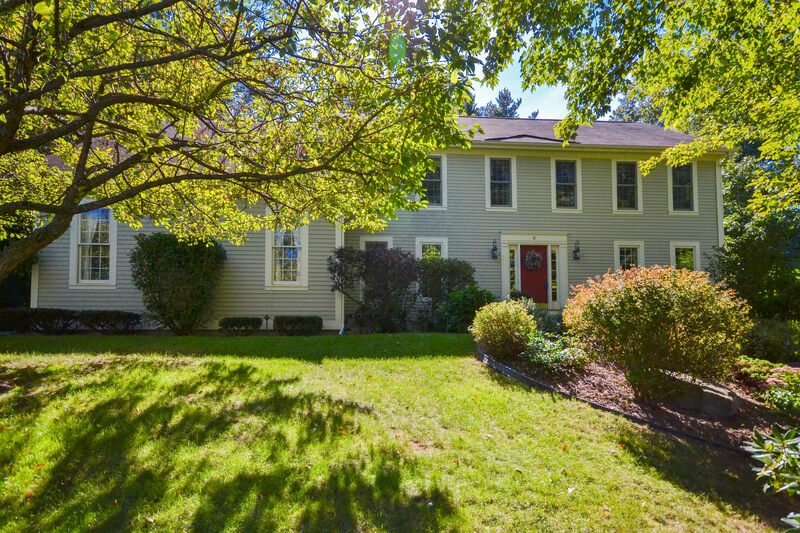 Brilliant 4 BR/3.5 BA colonial with open chef's kitchen, breakfast bar and room, formal dining, fireplaced family room with vaulted ceiling, finished fireplaced walkout basement. Filled with windows and sunshine! Convenient Lang Farm location. Here are some helpful tips to help you set the stage for success when it comes to styling and upgrading your home when planning to put your house on the market! The most important thing you can do is get rid of clutter! It makes your home look bigger, so ask yourself what you can live without! Think about the way your furniture is arranged, furnish your space by floating furniture away from walls, reposition sofas & chairs into cozy conversational groups, etc. This will not only make your rooms feel larger but also will give your space a more user-friendly feel. If you have a room that serves only for storage, re-purpose it into something that will add to the value of your home. Some ideas include a cozy reading room, a spacious home office, or an exercise room, the possibilities are endless! Another key to make your home look warm and inviting is great lighting. Increase wattage in your lamps and fixtures. Aim for a total of 100 watts for each 50 sqft. Make sure your have these 3 types of lighting: ambient (general or overhead), task (pendant, under-cabinet or reading) and accent (table and wall). Paint! Using a fresh neutral color in a room helps tone down any dated finished in the space. Bold wall colors tend to have a way of reducing offers, so go with neutrals in large spaces, while dark paint in a bedroom can make the space more intimate and cozy. A nice and important touch to staged homes are fresh flowers. Put together a simple bouquet appropriate to the season, it will warm up your decor! Now some bedroom staging tips: it is easy to create a relaxing bedroom setting with luxurious looking linens, soft colors, a new bed frame, and don't forget to de-clutter! Clean out closets, to optimize the look of your storage space! Bathroom staging tips: Having tile freshly painted can make an outdated bathroom look brand new, accessorizing can make buyers feel like they're in a spa! Pu tout items such as rolled towels, decorative candles etc. Last but not least there are many simple ways to boost your curb appeal! Many buyers who are thinking of touring your home may do a drive-by first. Power wash siding and walkways, make sure your house numbers are easy to read, plant fresh and blooming flowers, mow the lawn, wash your windows and repaint or stain the porch floor as needed! Learn more helpful tips for staging your home here!